I’m coming to you this morning from rainy RAINY! San Francisco this morning. I’m here for a conference and it’s been super fun to hear everyone’s reactions to having rain, especially having come from Portland. I know California needs the rain like crazy right now and the landscape just isn’t used to it so it’s all good. But, if you want to follow along in my adventures here for the next few days you can find me here on Instagram. 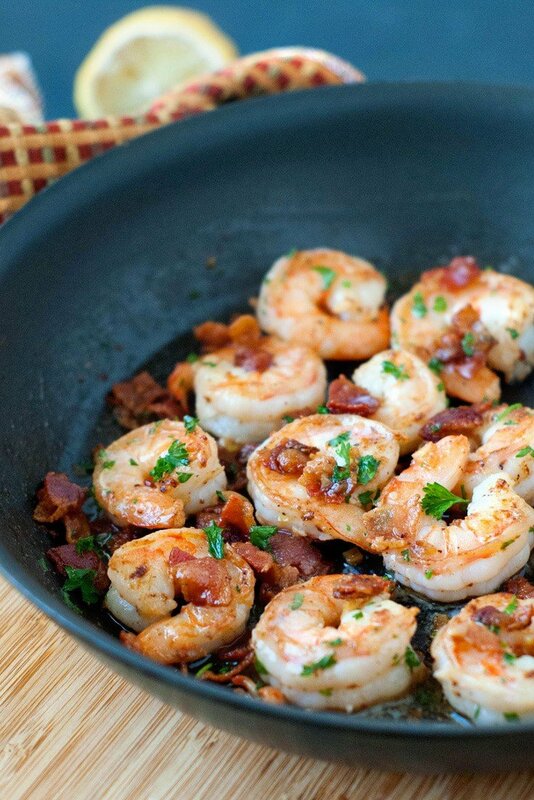 Anyway, THIS lemon bacon shrimp scampi recipe. 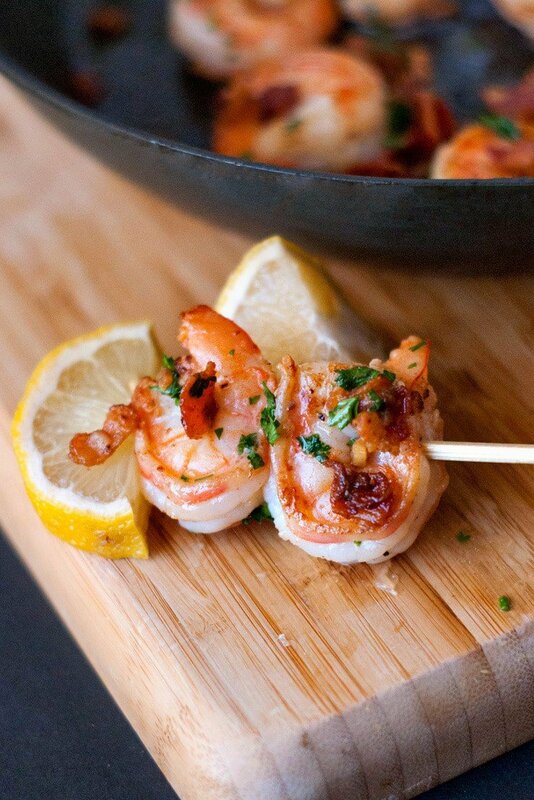 I’m not even a huge shrimp fan and these beauties are giving me heart palpitations. It might be the butter, but I’m going to blame it on how awesome they taste. You can’t really go wrong with bacon and butter, but for reals guys. These not only make for an excellent hot appetizer but you can toss the whole shebang with some hot pasta for a full meal. 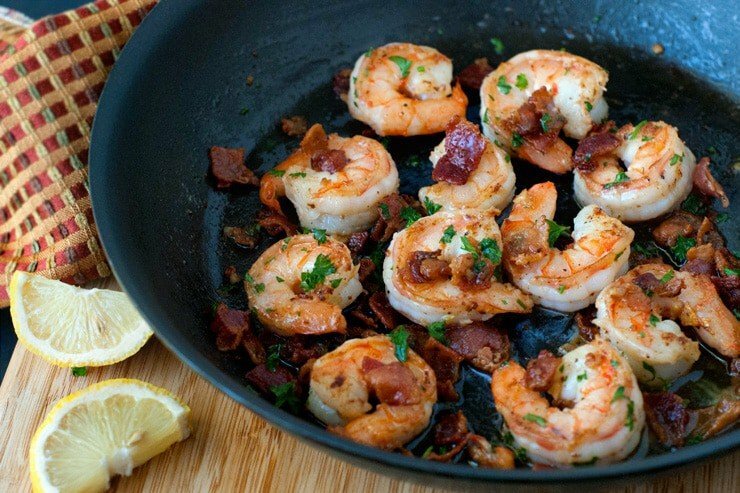 And since shrimp cook up in like 4 minutes flat, if you have the ingredients on hand these would be great for those unexpected holiday-time guests that inevitably show up. This recipe is another installment for Anolon’s #HolidayHosting campaign. Click on over to their site to see the recipe.